In recent months, many people have asked how I manage my time. While I’ve written on time management fairly extensively in the past, it’s been awhile since I’ve done so. And my season of life has changed quite a bit, which has changed how I manage my time and my days. 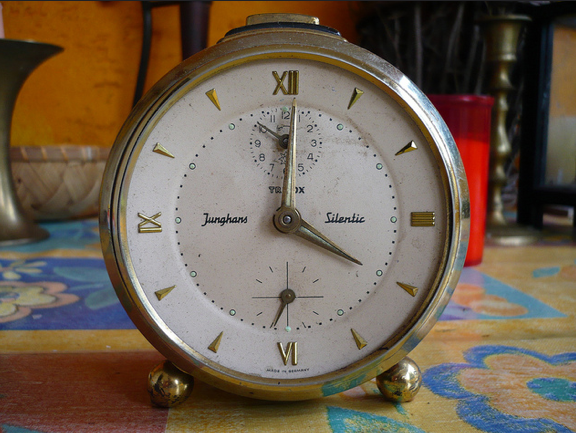 So I figured it was time for another up-to-date series on the subject of time management. How often have you heard and said that phrase? I’d wager to guess you’ve said it a lot. I have, too. But we all have the time 24 hours in each day. We all get to choose how we spend them. Remember my post from earlier this week when I said that my was really full for the next few weeks? But I quickly stated that this is the life I’ve chosen. I’ve chosen to write a book. We’ve chosen to homeschool our kids. I’ve chosen to run a blog. I could have chosen not to take any one (or all!) of these things. Understanding this and owning this has changed my life. I am not a slave to life. I don’t have to stay stuck in a situation if I’m miserable. All of those things are possible, if you choose to make them a priority. And that means you’re going to have to say “no” to a lot of other things. Because you can’t do it all. How you spend your 24 hours is up to you. You can choose to be intentional. You can choose to set small goals and follow through with them. You can choose to seize each day and use it wisely. Or, you can choose to wander through your days, going around in circles, procrastinating, and wasting time. I wanted to start this series with a very foundational principle that has impacted and shaped the way I view time management. Beginning Tuesday, we’ll be diving in and getting really practical — starting off by talking about how I’ve made choices in what to say “yes” to and what to say “no” to and why. Do you have any time management questions you’d love for me to try to answer or address in this series? If so, ask away in the comments and I’ll do my best to work in as many answers to your questions as possible as part of this series.